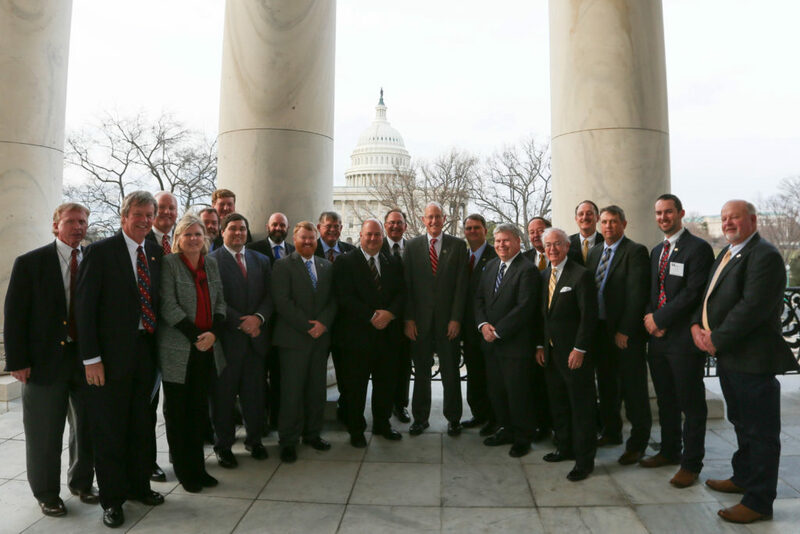 Last week over 30 producers representing all six of the Southeastern states visited Capitol Hill for semi-annual visits with their representatives. The grower leadership was joined by the Southeastern Cotton Ginners Executive Committee. Together, representing both grower and ginner interests, the groups made over sixty visits in 2 days. A very busy couple of days indeed. Most of the message was to thank the members for their support in getting cotton back into Title I of the Farm Bill. Additionally we urged the members to oppose any damaging amendments that may be brought forward on the upcoming farm bill debate. Along with Farm Bill discussions, most of the visits urged help on labor and immigration, an issue that has become increasingly problematic for many ginners. As far as the Farm Bill is concerned, we were fortunate enough to get to spend some time with both the House and Senate Ag Committee staff. Both were cautiously optimistic about moving the Farm Bill forward this year. The House will likely go first and go through mark-up after the Easter Recess. The Senate will hopefully go shortly thereafter. It wont’ be without contention as the House has some changes to SNAP that are not sitting well with many on the Democratic side of the aisle. Both the House and Senate committee staff hoped to have the bill done before the Fall elections but neither staff would be surprised if it got drug out a bit further. Immigration wasn’t quite the rosy picture. Chairman Goodlatte has a bill but it continues to change and drag on without enough votes to bring it to the floor. Some large growers, particularly in California, are not happy with the ag provisions and have been quite vocal. Even if Mr. Goodlatte can get the wrinkles ironed out, any bill will have a very tough time in the Senate. The only hope is for a bill that the ag provisions could get attached to. That vehicle doesn’t exist at this point. The problem right now is that the Courts have taken the urgency for immigration reform away by removing the need for a DACA fix to get done quickly. The Courts have ruled President Trump’s cancellation of the program illegal and the renewals have been allowed to continue. It will continue to work its way through the court system but that will take a long time. In any case, all of the visits were very positive. The comments by those that went to Washington were very upbeat after the visits were all over. Tired feet but good feelings all around.